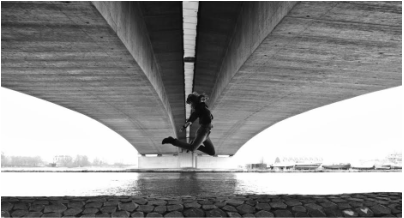 Sanne Clifford is an independent choreographer, teacher & coach based in Amsterdam, the Netherlands. She holds an MA in Choreography (Fontys School of the Arts), MA in Education in Arts (Codarts School of the Arts) and a BA in Dance (Amsterdam School of the Arts). She is professionally creating, teaching and performing since 2006. From 2012 to 2015 Sanne was co-founder, co-director and house-choreographer of New Dance Company, a platform that takes initiatives to help young choreographers and dancers in their artistic development. Since 2015 she started this new initiative together with Anja Gallagher; Choreolab Europe. Sanne has presented her choreographic work in the Netherlands, Spain, Macedonia, Denmark & Hungary. As a teacher she has been working with, among others: Selma Susanna School of Performing Arts, Chassé Dance Studios, Buitenkunst, Frank Sanders’ Musical Academy (Amsterdam, NL), 2nd IDOCDE Symposium - Impuls Tanz (Vienna, AT), The Link - Centre for Dance & Health (Berne area, CH) and CAMP_iN (San Luis Potosi, Mexico). As a creativity and movement coach she guides artists and other creatives in their collaborative choreographic process. Anja is a dancer, teacher, choreographer and shiatsu therapist based in Berne, Switzerland. She was trained in Switzerland, France and the US and graduated with a BFA in dance at the University of Minnesota. She danced in the United States for various companies, among them the Minnesota Opera. She moved to Berne and founded her company Momentum contemporary dance in 2007, for which she has created four full evening productions. She has been teaching dance from beginners to professional level students over 20 years, mainly in the US and Switzerland. Anja works as an independent choreographer for diverse projects. Since 2016 she offers workshops specifically designed for dance teachers in the fields of anatomy, pedagogy and personal development. Since 2013 she is a certified Shiatsu practitioner, which greatly influenced her work as a choreographer toward a more wholistic approach to creation and teaching. Her collaboration with Sanne Clifford and the resulting founding of Choreolab Europe further enriched her understanding of how one can access and live creativity. Anja's work focuses on connecting to the self and aims to raise awareness: within the dancer, the spectator or through collaboration with other artists.